Lens Description: Standard manual focus wide-angle lens for landscapes and general photography. 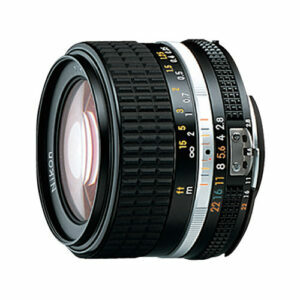 If I were looking for one lens for any of my Nikon’s I wouldn’t hesitate to rate this one right up there. Although its a manual focus lens but what a lens! Smooth, sharp beautifully made. Quality you don’t find in the more modern design plastic lenses. It focus closer them most 28mm. It’s my go to lens when traveling and shooting street scenes . Just per-focus and adjust for lighting you can’t lose. I ‘m little disappointed when I hear someone complains he needs an automatic. Hell, when I was a Marine Photographer in the 50’s we used 4×5 Speed Graphics (nothing automatic and changing films with a sheet film holder wasn’t automatic.) By all means if you are looking for a top 28mm you really have to go far to beat this beauty. In my 40+ years of shooting landscapes, I passed on this lens. I went for the Nikkor 28/F2 An outstanding lens from close up to infinity!!!! So did I, and it was a wonderful lens. Then my 28/2 was stolen. I decided to try the 28/2.8 AIS. It arrives tomorrow.